I can’t say anything in particular inspired this post, except my slight, ever-present fear of the interior of Bradfield catching fire. Technically, there was a small fire in Bradfield on the fourth floor a couple of years ago, but thankfully it was quickly brought under control. Which, compared to some of Cornell’s history, is very, very tame as fire events here go. The most notable fire on University property is fittingly the most well known, the Cornell Heights Residential Club fire in April 1967. Cornell Heights, now known as Ecohouse (Hurlburt House), was bought by the university in 1963 (its former use being a motel) and was being used to house students in an experimental program that would allow them to complete a PhD in any department in six years (which, for anyone who knows plans on or knows people pursuing doctorate study, six years from college freshman to PhD is a pretty sweet gig if one could keep up with the work). The program began to be housed in the building in 1966, so they hadn’t even been there one full year when the fire occurred. The PhD program had 43 students, three faculty-in-residence and a faculty-adviser-in-residence, and the second floor held twenty-four senior and graduate women, for a grand total of 71 occupants. The fire started at 4 AM, when most residents were sleeping or busy pulling all-nighters. Well, the building was thoroughly modern by 1960s standards, which means that just about every piece of nondescript furniture inside was made of some toxic material that could be hazardous if ingested, inhaled, seen or most importantly in this case, burned. The fire caused a toxic smoke to be emitted from the plastic upholstery, suffocating the victims, and sending ten others to the hospital for smoke inhalation (52 others escaped unharmed). The lack of adequate fire exits, alarms and sprinklers, especially on the second floor, only exacerbated the situation. As a result of the tragedy, the university undertook a major overhaul of its fire safety standards. The second deadliest fire wasn’t technically university property, but was associated with one of the fraternities. Chi Psi lived in a glorious mansion built for the insanely rich Jennie McGraw, and completed in 1881. Too bad the tuberculosis she had killed her just as she arrived back home to witness its completion. Well, the house was auctioned as part of the “Great Will Case”, bought by McGraw relatives who then sold off most of the furniture, and then sold the unoccupied house to Chi Psi in 1896. The primary suspect in the fire of December 7, 1906 were oily rags in a broom closet and flammable varnish on the wood floors. Although the building was finished with stone, the wood-frame construction made the place into a hellish inferno. Most of the 26 brothers were trapped in the burning building, with some only escaping when the collapsing walls gave them opportunities (at least one man escaped by falling with the collapsing wall onto the snow below; others jumped three stories). Of the seven people who died, two fraternity brothers were killed when they failed to jump from the collapsing southwest tower, two more died when they ran back in to rescue others, and three volunteer firemen were killed when the north wall collapsed on top of them, and “slowly roasted to death” as a New York Times article of the day puts it. Turning to less fatal events, the Chemistry Department suffers the dubious distinction of being the most fire-plagued program in the history of the university. First of all, their first building, the old Morse Hall, partially burned down in 1916. When Olin Lab was under construction in 1967, the exterior tarp caught fire while it was under construction, causing a wall of flame along the partially-completed building (luckily damage was minor). The building had another minor fire in 1999. Now imagine a ten story wall of flames. You get the idea. Tjaden Hall had a flat roof on its tower portion for about forty years because lightning set the original roof on fire in the 1950s and they had to remove it. Then you have minor fires in the dorms once every couple of years or so. Balch Hall had a minor fire in the fall of 2004, and one of the lowrises in the spring of 2006. I think Donlon Hall had a minor fire sometime in the past few years. Point is, they’re usually mild, little news-makers, enough to end up at the bottom of the front page of the Sun for a day, and life goes on. -A fire burnt down the lodge of Kappa Alpha in 1898. -Delta Chi’s house burnt down in 1900. -Delta Upsilon had fires in 1909, 1916, and 1919. The 1909 fire completely destroyed the house. -Sigma Alpha Epsilon lost a house to fire in 1911. -Alpha Delta Phi’s house burnt down in 1929. -Alpha Epsilon Pi had a house burn to the ground in 1929. -A wing of Zeta Beta Tau’s house was consumed by fire in 1939. -Zeta Psi’s original house burnt down in the late 1940s. -Kappa Sigma suffered significant fire damage in 1948. -Tau Epsilon Phi lost the old wing of their house to a fire in 1961. -Sigma Pi’s house was reduced to a burnt-out shell in 1994. So historically speaking, fraternities are not the best places for fire safety. On the flip side, I’ve never heard of a Cornell sorority house burning down. Great and informative article, thank for sharing. We live in an age where fires that destroy lives and whole histories of families and organizations are more rare. It wasn’t that long ago that the risk of fire and the destruction it could cause was much more present. In the case of Alpha Delta Phi at Cornell University, they had the best fire fighting technology available in 1929, but the low water pressure from the city system meant that they couldn’t stop a small fire from engulfing the house. I’m not sure if you’ve seen my blog, ithacalansing@wordpress.com. My father was a volunteer fireman, so he knew some of the background details of the April 5, 1967 fire. There were toxic fumes from sixties’ furniture but there was circumstantial evidence that the fire had been set. The suspect was to be followed the rest of her life, one fire marshall to the next as she moved. There was a fire in Collegetown after she moved there. I tried not to say too much in my blog. A student perpetrator who dropped into obscurity, living under an assumed name for the past forty-five years, after being dismissed from the University. All in all it is a quite incredible fragment of Cornell history, now almost entirely forgotten. ITHACA, N.Y., May 31– Investigators here said today they were convinced that three recent fires in buildings housing Cornell University students, including one in which nine persons died, were caused by an arsonist. 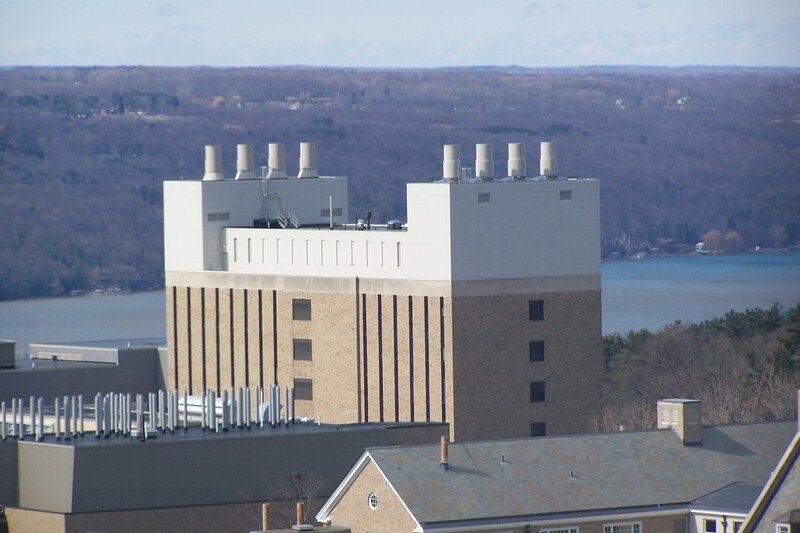 ITHACA, N.Y., June 1–A Cornell University official disclosed today that the school had posted uniformed patrolmen at about 10 student residences, following three suspicious fires in the campus community in the last two months. ITHACA, N.Y., June 2– The investigation of three recent fires in housing for students enrolled in a special program at Cornell University is concentrating on “two or three people,” Ithaca’s police chief said today.